SStS partners with The Small World (TSW) to help construct homes and clinics in rural villages and to increase girls’ access to education. The SStS Nepal course begins in Nepal’s capital city, Kathmandu, where staff from SStS’s non-profit partner, The Small World (TSW), will greet the group. The next two days will be spent acclimating and visiting various UNESCO World Heritage sites, including the famed Monkey Temple. After this introduction to Nepali culture, the group will drive to Salleri, a village in the remote Solukhumbu region. After they arrive, they will settle into a dormitory TSW built for 40 girls pursuing their university education. The home was constructed using eco-friendly and earthquake resistant building techniques that left it undamaged by the earthquakes that occurred in April and May of 2015. However, 15,000 classrooms across the country were damaged, and thousands of Nepalis lost their homes. In response, the group will help construct a new earthquake resistant home for 100 children who were displaced by the earthquakes. After several days in Salleri, the group will trek to the village of Phuleli. After meeting the local families who will host them for several nights, the group will begin their second project. Because residents of this region currently need to walk several hours to the nearest doctor, a primary focus of TSW’s work is increasing communities’ access to health care. To address this problem, the group will help to construct a new medical clinic. During their time in Salleri and Phuleli, the group will work shoulder-to-shoulder with TSW staff and skilled local artisans from the villages. During the project phase, they will also create friendships with the 40 young women living in the dormitory who have overcome incredible challenges to earn their high school diplomas and pursue college degrees. Upon completing the project, the group will then trek through the Himalayas on a route that was once taken by Sir Edmund Hillary and Tenzing Norgey on their way to Mount Everest. Students will hike for three days through isolated villages surrounded by misty rhododendron forests and dramatic snow covered peaks rising to over 25,000 feet. At the end of this trek, the course will close at TSW’s Himalayan Hope Home near Kathmandu, a facility designed to create a loving family environment to support the physical, emotional, and spiritual needs of 30 orphaned girls. These diverse experiences will highlight the culture, compassion, and gratitude of our Nepali hosts and the values of ethical leadership. The Small World works to provide education for children, women’s empowerment, and opportunities for local communities to break the cycle of poverty. 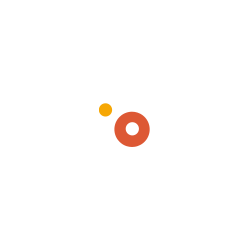 To learn more, please visit their website. The students will spend over a week constructing an earthquake resistant children’s home in the village of Salleri and a health clinic in Phuleli. They will also visit the Salleri girls’ dorm and the Himalayan Hope Home in Kapan. This course includes four or five days of Himalayan trekking through strikingly beautiful mountainous terrain. Students carry small packs during this adventure, so it is critical that participants actively prepare prior to travel so they are physically fit. 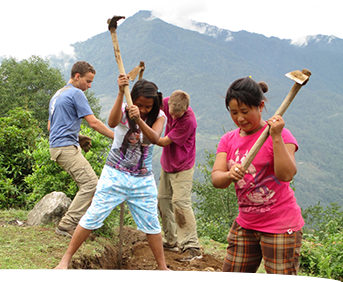 While in Phuleli, students will stay, in pairs or small groups, with Nepali families in traditional homes. While in Salleri, the group will stay at a dorm for young women finishing their education. During the trek, the students will sleep in family-owned guesthouses. After a couple days in Kathmandu, the group will spend a day driving to the Solukhumbu district where they will spend a majority of their time. At the conclusion of the trek, they will also drive back to Kathmandu. 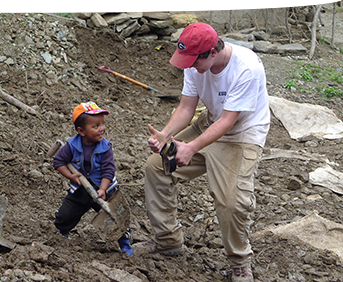 The group will have the unique opportunity to spend a few nights living, in pairs or small groups, as the guests of Nepali families in the village of Phuleli. They will also spend time with the girls and young woman at TSW’s dorm in Salleri. In addition to spending the first and last days of the course in the major city of Kathmandu, most of the days will be spent in the small villages of Salleri and Phuleli. The group will also explore several remote villages during their trek. These children became an inspiration for me. I never would have thought that it would be children, some as young as 3 years old, who would teach me what it truly means to have courage and to be empowered. Celebrating with the girls finishing high school in Salleri. An unexpected young helping hand at the project site. During the travel phase of each SStS course, students spend time reflecting about the learning that occurs through their immersion and service experiences. These posts capture the impact of our programs on individual students. 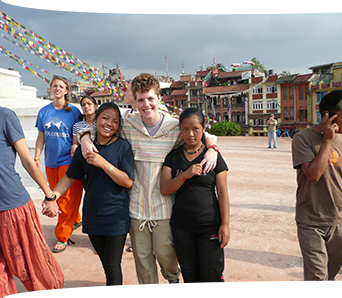 Explore the posts below to learn about the SStS Nepal program from the important viewpoint of our students. Please note, tuition does not include airfare and immunizations. Talbot Travel Agency provides travel services for SStS, working personally with us to find the least expensive group fares. As a result, it is not possible to use airline miles or credit card benefits for the international flights. However, these can be used to purchase tickets to the gateway city.